Of all the New World societies, Cuba received captives from the greatest mix of African origins. They came from all parts of the coast and interior of western Africa, their numbers dwarfing all reliable estimates of the number of captives brought to the entire United States. Between 500,000 and 700,000 Africans reached Cuba, the majority arriving in the nineteenth century. The size, diversity, and continual replenishment of this population allowed a rich array of African-inspired religions to flourish there, even beyond the end of the slave trade. The gods of West Africa are called orisha in Yoruba, oricha in Spanish. Yoruba people also speak of a supreme being, Olorun or Olodumare, whose power or life-energy, called ashe, becomes manifest through both ancestral spirits and the orisha. In Cuba, as in Haiti, West African gods became paired with Roman Catholic saints in syncretistic relationships. In Cuba, the ruler of lightning, called Shango in Yoruba and Chango in Spanish, is identified with St. Barbara. Ogun, the lord of iron and technology, is identified with St. George, Babalu Aye is identified with St. Lazarus, and Yemaya, goddess of the sea, with Our Lady of Regla, the patroness of a Havana suburb. In the past few decades, Santería, or La Regla Lucumi, has come to the United States with Cuban immigrants: in New York, for instance, some believe the Statue of Liberty embodies the presence of Yemaya. 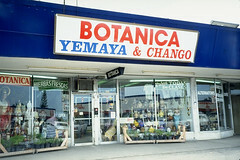 Botanicas selling the religious articles, herbs, candles, and images of the tradition proliferate in Miami, Seattle, and New York. 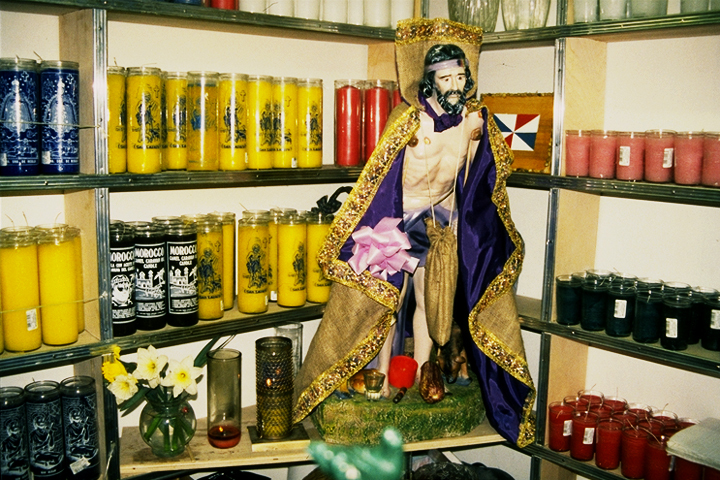 It is estimated that between 250,000 and one million practice Santería in the United States. However there is no visible infrastructure, and most practitioners, if asked, would publicly identify themselves as Catholic. The practice of Santería is organized in “houses”—loose communities of initiates and aspirants led by a particular priest (babalocha) or a priestess (iyalocha). Most members of the house have been initiated by him or her and are therefore called his or her “godchildren.” During initiation, called the asiento, or “seating” of the god in the devotee’s head, the godparent and his or her team shave the initiate’s head and make small incisions, planting sacred and secret substances in them that will link the god permanently to the new initiate and strengthen the god’s protection. The initiate is then possessed temporarily by the god, an event that will recur on certain ritual occasions throughout the initiate’s life. Some male priests are initiated not to undergo possession, but to conduct divination, or to discern hidden realities by means of an oracle. These highly prestigious diviners (babalaos) work with individuals and families, casting and reading cowry shells or a sacred chain to determine the spiritual causes of personal problems. The priest may recommend such solutions as “cleansing” fumigations and herb baths or investiture with protective bead necklaces representing the oricha gods. The babalao also plays a critical role in many initiation ceremonies. On the altars of devotees, the oricha are often represented by stones—embodiments of the divine power—placed alongside other sacred emblems inside lidded calabash gourds, bowls, tureens, or jars. Each oricha also has his or her own foods, characteristic myths, numbers, colors, dances, and drum rhythms. At a sacred dance festival held in Miami, for instance, Cubans easily recognize each manifest oricha by means of his or her movements. On the annual anniversary of a santero/a’s initiation, a sacrifice is made to the particular oricha who possessed the devotee during his or her initiation. There are other annual festivities in the “house” of Santería, including the cycle of tambores, each one honoring a different oricha. Many of these tambores roughly coincide with the Roman Catholic saints’ days—again reflecting the symbiotic relationship between Lucumi and Christian traditions. 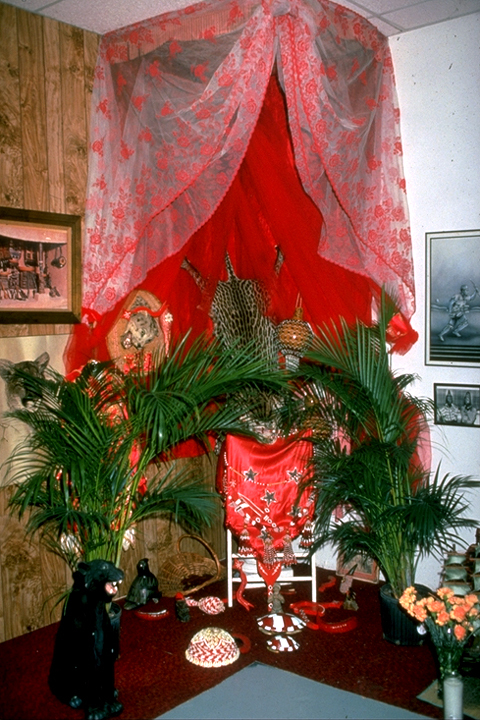 In America, the Santería tradition has developed through these house communities, which are not ordinarily public places of worship. Although there are large Cuban immigrant communities, the public profile of Santería has remained very low, in part because of hostility and misunderstanding on the part of the dominant culture. Though animal sacrifice is but one part of the ceremonies of healing and of devotional feasting, it is the aspect most noted by the general public. Conflict over this issue became public in Hialeah, Florida, when the city passed legislation to ban animal sacrifice. 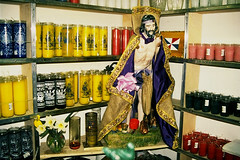 The city claimed the legislation was religiously “neutral,” but the Church of the Lukumi Babalu Aye in Hialeah maintained that the legislation was aimed specifically at Santería practices. Ernesto Pichardo, the priest of the Church of the Lukumi Babalu Aye, took his case to the courts. 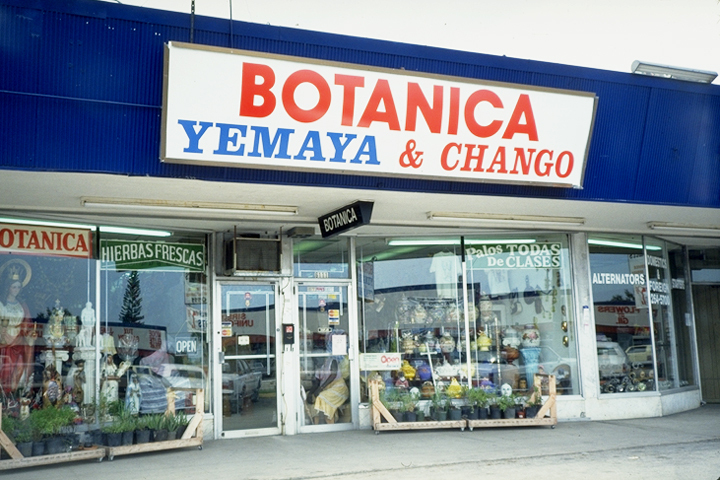 Eventually, in 1993, the Supreme Court determined that Hialeah had overstepped the bounds of the law by directing such restrictions at the practices of the Santería religion (Church of the Lukumi Babalu Aye, Inc. v. Hialeah).